If you are planning to study or work in Spain, you will need a NIE or a TIE. The process of getting one, however, can be confusing and frustrating especially if it’s your first time doing it and you don’t speak any Spanish. In this detailed blog post, we will breakdown what a NIE/TIE is and how to get one. 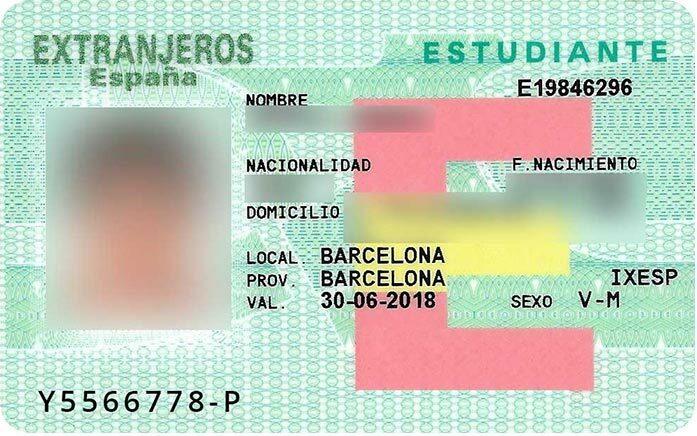 A NIE (número de identidad de extranjero) refers to the national identification number issued to all non-Spanish persons seeking temporary residency for various purposes. This is a unique and non-transferable number assigned to every non-Spanish resident. 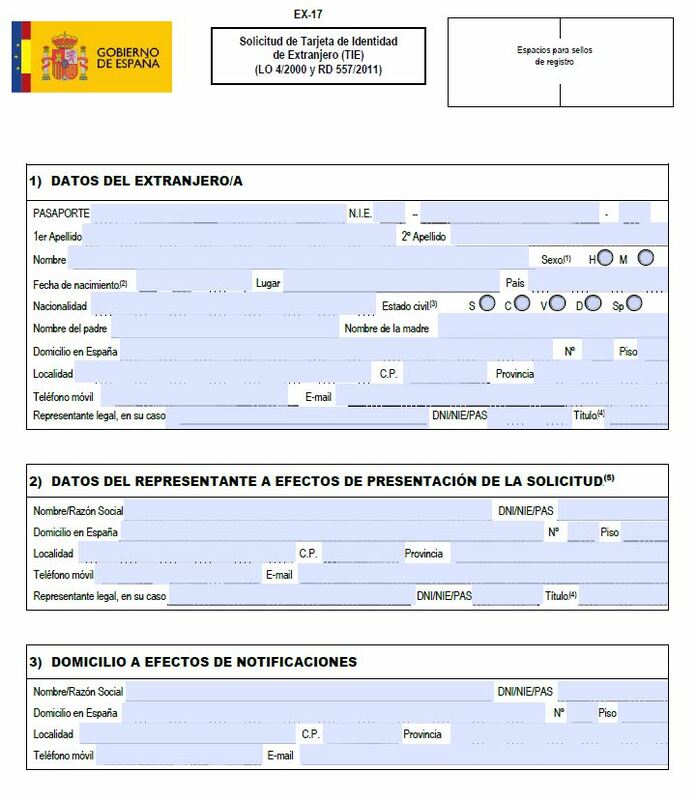 When you apply for and receive your NIE, the Spanish government gives you a small piece of paper (see below) with your NIE number and some basic personal information on it. All EU citizens are required to have this number and the process is fairly easy. A TIE (tarjeta de identidad de extranjero) is a card (see below) that has your picture, NIE number, address and where you work/study. If you are a non-EU citizen, you have to apply for a TIE. This process is much more complicated since you need to register yourself at the city hall (empadronarse) to receive your padrón. Once you have done that, you are required to get an appointment at an immigration office which can be a headache. Depending on which police station you are willing to go to or which city you are in, the nearest appointment you can get might be up to a month later. We recommend applying for an appointment once you arrive to Spain. In short, NIE refers to the number issued to the EU citizens and TIE refers to the card that has the NIE number of it issued to the non-EU citizens. Why do I need a NIE/TIE? What documents do I need to submit to get a NIE/TIE? 3. 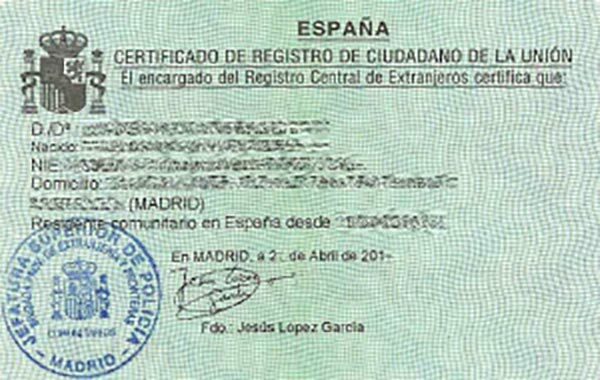 Click on Certificado EU if you are an EU citizen or Expedición de Tarjeta de Identidad de Extranjero if you are a non-EU citizen. 4. If you are getting your NIE/TIE for the first time or if you are renewing it, select POLICIA-TOMA DE HUELLAS (EXPEDICIÓN DE TARJETA) Y RENOVACIÓN DE TARJETA DE LARGA DURACIÓN). 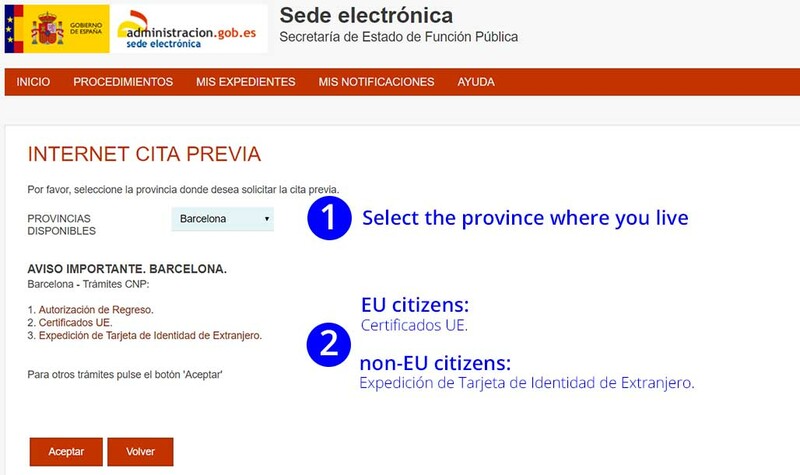 If you are an EU citizen, select POLICIA-CERTIFICADOS UE. If your NIE has expired or it’s in the renewal process and you need to exit Spain and still be allowed back in, select POLICIA-AUTORIZACIONES DE REGRESO. 5. Click on the button Aceptar (accept) to go to the next page. 6. The next page has a list of some of the documents you will have to present. You can download the application form EX-17 and Tax form 790 Code 012 on this page as well. Click on the button Entrar to go to the next page. 7. On this page, you need to enter your personal information. 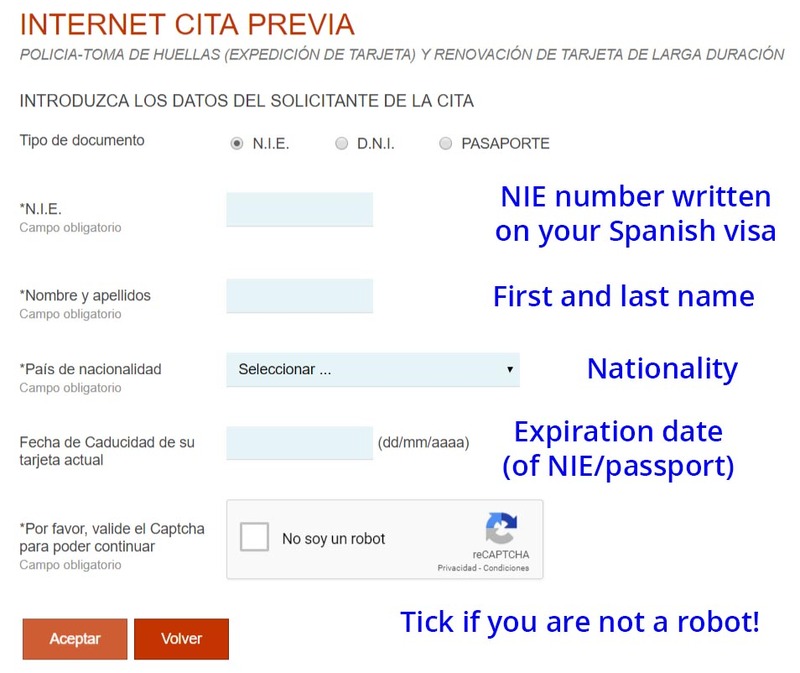 Select NIE if you have a NIE number on your Spanish visa. If not, select Pasaporte and enter your passport number. When you are done, click on Aceptar. 8. On the next page (screenshot below), you will see your full name and ID number. 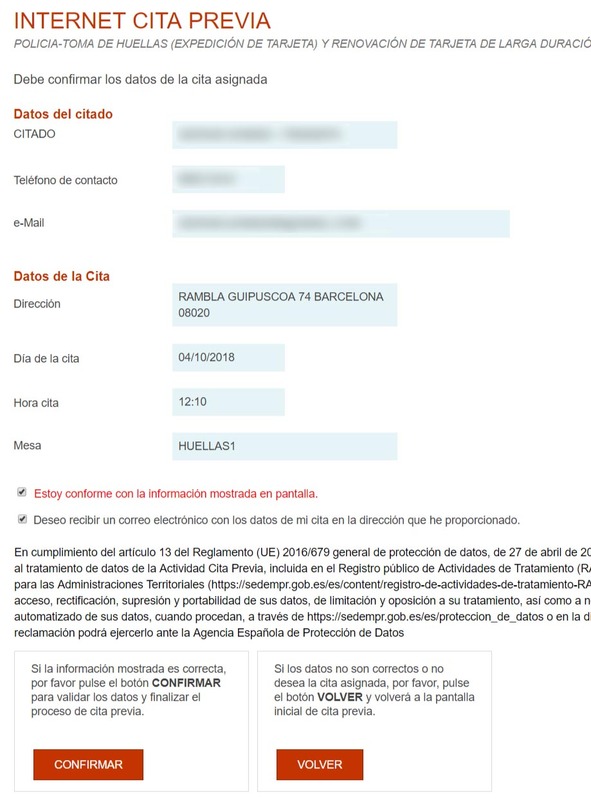 Click on Solicitar Cita if you want to make an appointment, Consultar Citas Confirmadas if you want to check the status of your confirmed appointment, Anular Cita if you want to cancel an appointment or Salir if you want to exit without any further action. 9. 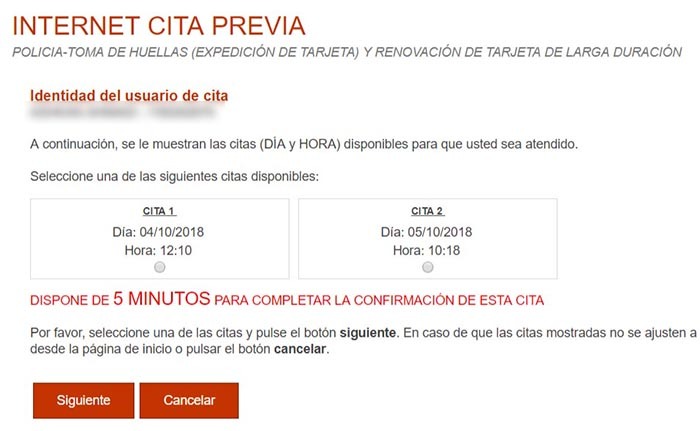 When you click on Solicitar Cita to make an appointment, you will be taken another page (screenshot below) where you can pick the police station where you can submit your documents. IMPORTANT: Check all the addresses on Google Maps before you pick as some of the police stations are really far away (We recommend an office near Badalona if you live in Barcelona). When you are ready, click on Siguiente to move to the next page. 11. On the next page, enter your telephone number and your email address. The confirmation letter will be sent to this email address. 12. If there are any free time slots available, you will see the page below. Select the date and time available. Click on Siguiente to move forward. 13. The next page (below) is going to show you the summary of the information. If everything looks correct, tick both “Estoy conforme con la información mostrada en pantalla” (I confirm that the information shown on the screeen is correct) and “Deseo recibir un correo electrónico con los datos de mi cita en la dirección que he proporcionado.” (I would like to receive an email with the details of my appointment at the address I have provided.). click on CONFIRMAR to confirm your appointment. If everything goes well, you will receive a confirmation letter with all the information you have provided. Now you will need to go to the police station that you selected and present your documents. We recommend showing up at least 30 minutes earlier than your appointment since you will have to stand in a line. This is a short 2-page application form which you need to fill out with your information. Here we have provided the translation of the fields you have to fill out. Section 4.2 Situation in Spain: Here you will have to pick why you are in Spain. The most common one is the first one Estancia por estudios, investigación-formación, intercambio, prácticas o voluntariado (studies, doing research, exchange student, internship or voluntary work). Right above the signature box at the bottom of the page, write the name of the city (e.g. Barcelona) followed by the date: dd – mmmm – yyyy. For example: Barcelona, a 10 de septiembre de 2018. Print the document and sign it. Make sure you take a copy to your appointment. This is an online tax form that you have to fill out, print, take it to any bank and pay the fee (depending on your application). 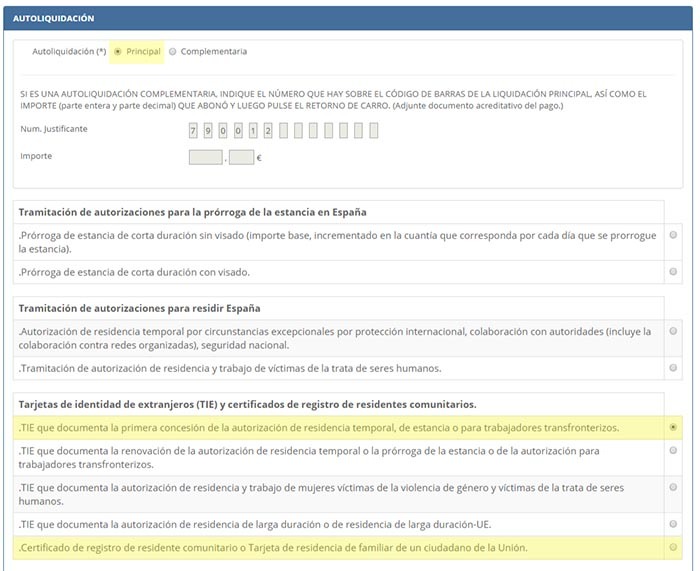 Fill out the first section IDENTIFICACIÓN with your personal information. Now go to the bottom of the page. Write your location under Localidad and pick the date under Fecha. The amount you will have to pay as tax will be shown under Importe euros. 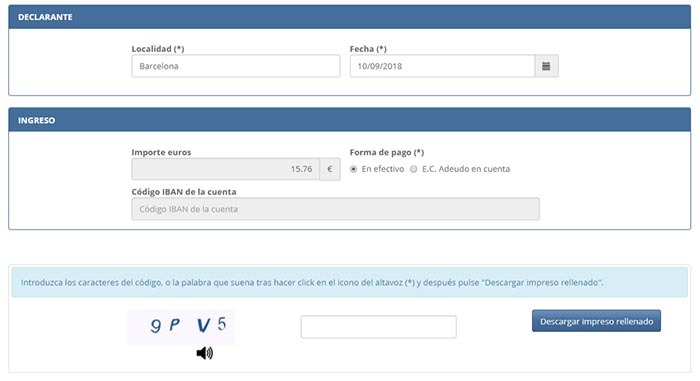 At the bottom of the page, write the CAPTCHA code and click on Descargar impreso rellenado to download the PDF file. Now, print the file and take it to any bank and pay the fee. IMPORTANT: make sure you don’t lose the receipt. You must present it at the police station. Now take all your documents to the police station, wait in line and wait for your name to be called. Keep in mind that in most cases, not a single person speaks English at the police stations. If you do not speak any Spanish, we recommend taking someone who can understand and speak Spanish. If you wish to avoid all this work and let a professional immigration lawyer do all this for you, fill out this application and our professional lawyers will get back to you as soon as possible. 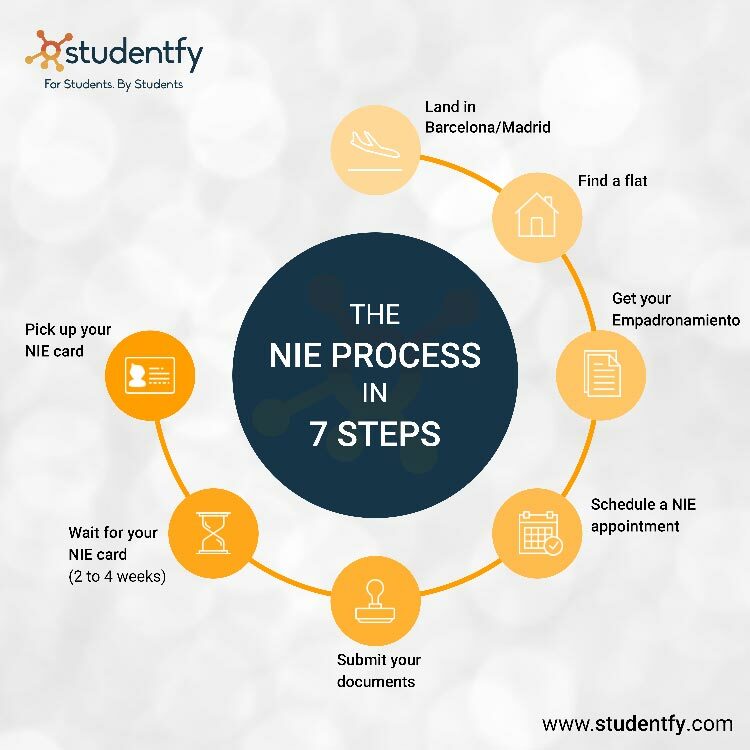 Let us know in the comment section below about your experience going through the NIE process. What worked well and what didn’t? I have a question is it possible to get a empadronamiento with a room rent contract? Hi Adrian. As long as you have your name on the house contract, you should be able to get your empadro. We are currently working on a detailed blog on empadronamiento and how to get it. Please stay tuned. Hi, is it very necessary to get a empadronamiento to get my TIE? I only book a room and my name isn’t in the house contract. How can I do? Hi Eduardo. You may have to go with the landlord/landlady to the empadro office. Please stay tuned for the detailed blog about how to get your empadro. How I will know my NIE status. Already 4 month gone. You will need to enter your NIE number, date of submission of your documents, and your birth year.